Compact, accurate, and exceptionally reliable! Styled in the familiar AR configuration, the REC7 Designated Marksman Rifle (DMR) is a no-nonsense AR you can trust with anything... including your life. 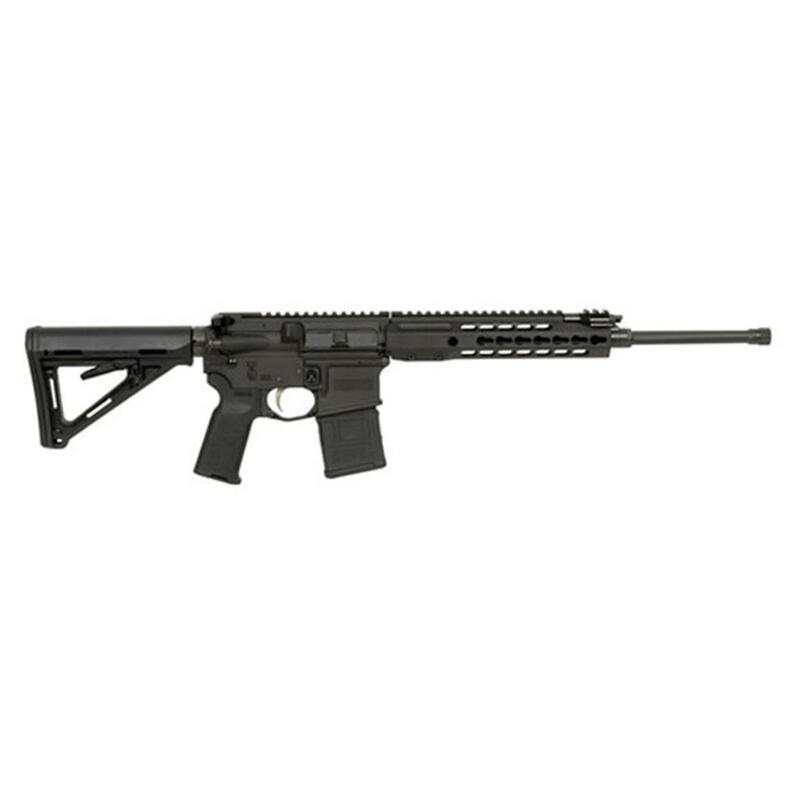 This tough-as-nails Rifle was designed specifically to answer the call for a low-maintenance, enhanced reliability carbine. THE NEXT GENERATION OF GAS PISTON PERFORMANCE. The REC7 rifle's dependability stems largely from its innovative operating system. Using a minimum number of parts, the gas piston system separates heat and powder residue from the bolt carrier and trigger assembly. The rifle runs cool and clean, reducing maintenance requirements and increasing endurance. PREMIUM PRECISION, TIP TO TOE. The Barrett Enhanced Bolt is made from high-strength 9310 steel. The bolt is designed specifically for use in the piston operated REC7, not just adapted from a direct gas bolt. The bolt's gas-ring-free design is easy to clean. Reinforced at critical areas, every bolt is proofed and magnetic-particle inspected to guarantee reliable performance. Barrel twist: 1" x 7"
Overall length: 35.25" - 40.25"